Versomare is a brand new modern and welcoming structure in which to spend pleasant moments or wonderful holidays by the sea. Inserted in a territory with important enogastronomic traditions, it boasts a very central position in front of one of the most characteristic historical centers of Puglia with its cliffs overlooking the sea and only a few steps from the most photographed beach in Italy: Lama Monachile. 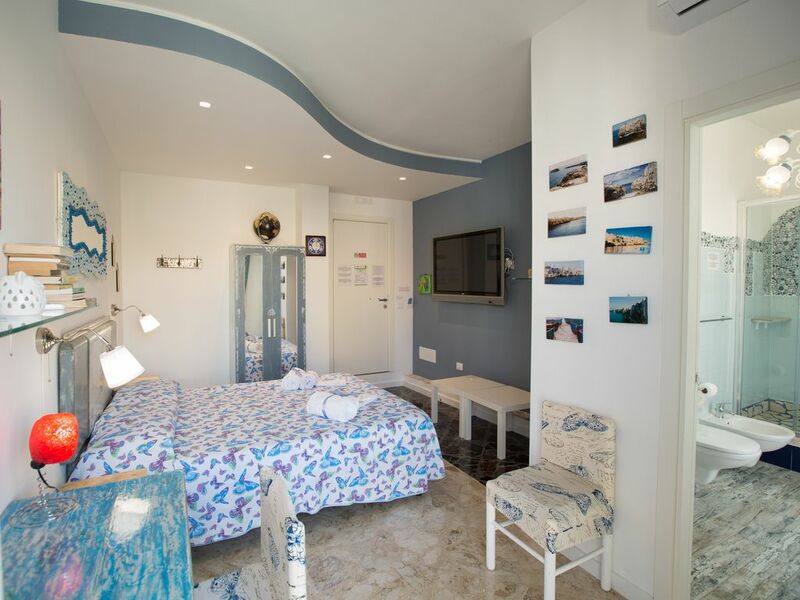 Versomare offers modern rooms with air conditioning and balconies overlooking the main square. All accommodations are very tastefully furnished and feature a large flat-screen Tv, free high speed Wifi, air conditioning, minibar and a large private bathroom with bidet, shower, hairdryer and complimentary toiletries, sheets and towels. On the balcony there is a table with chairs and a small armchair. The property is located on the main square of the village near all that can serve for a pleasant stay such as bars, restaurants, beaches, historic center, shops, rental services, etc. Underlying the structure there is a bar that boasts a ten-year tradition of excellent homemade ice creams and a restaurant where exquisite fish and traditional dishes are served as well as a pizza among the best. If you arrive by car there is a large and convenient parking at the train station 4 minutes walk from the hotel or around the hotel there are paid parking or free on the street. Possibly we have, on reservation, also a private indoor parking at a cost of 10 euros a day about 400 meters away. Also next to the structure there are gigs with driver to be rented to be carried anywhere in the country and out.